The CTA has issued letters of commendation to 19th (Town Hal) District officers who were involved in capturing two robbery offenders who fled onto the Red and Brown Line Tracks near Diversey on Dec. 22nd. Deandre Wilson, 22, has been charged two counts of armed robbery with a firearm, unlawful use of a weapon by a felon, and reckless conduct. He’s being held without bail. A second individual, believed to be a juvenile, was also arrested with Wilson. Chicago police had no further information about the second person. 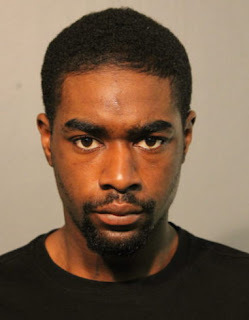 Five separate robberies had been reported within 30 minutes near the Fullerton and Diversey Brown Line stations when 19th District officers tried to stop Wilson and the second individual for questioning. “One offender fled to the electrified tracks as he tossed a backpack to the ground,” the CTA said in its letter commending Chicago police. “Officers managed to cut off all points of escape, causing both offenders to eventually be captured and all the proceeds of the robberies being recovered,” CTA said. Wilson was convicted of multiple narcotics charges in August 2016 and was discharged from parole on Nov. 15th, according to state records.